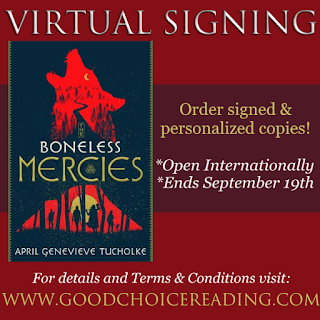 Good Choice Reading: THE BONELESS MERCIES + WINK POPPY MIDNIGHT by April Genevieve Tucholke Virtual Signing! 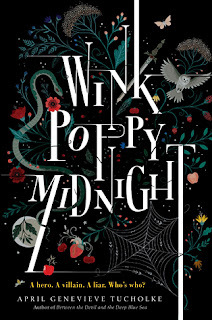 THE BONELESS MERCIES + WINK POPPY MIDNIGHT by April Genevieve Tucholke Virtual Signing! 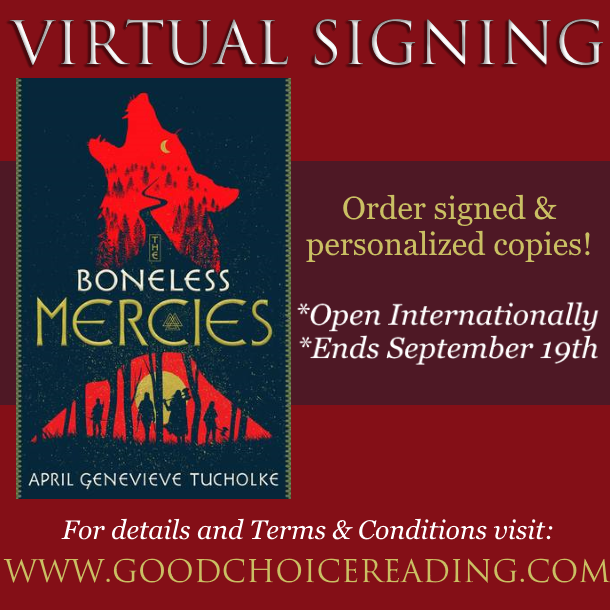 Grab your signed personalized copies of THE BONELESS MERCIES about April Genevieve Tucholke + you can also order a signed paperback copy of WINK POPPY MIDNIGHT! 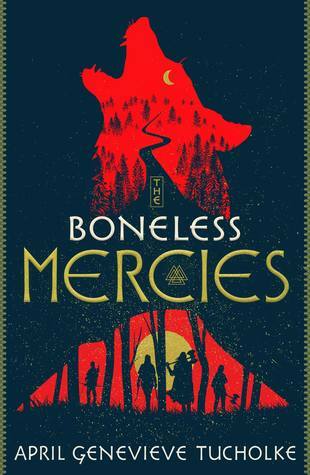 EXTRA BONUS: Anyone who orders a signed copy of The Boneless Mercies will receive an 8 x 5 character art print from Boneless Mercies!! A dark and gorgeously drawn standalone YA fantasy about a band of mercenary girls in search of female glory. Won in a major six-house auction! This event ends September 19th, 2018. Refunds will be honored until September 19th. After September 19th there are no refunds, as all books have been ordered via the bookstore. Good Choice Reading/April Genevieve Tucholke are not responsible for any lost, stolen, or damaged mail. In the event any of the above were to take place, your package is insured up to $50. A claim will have to be filed with USPS. 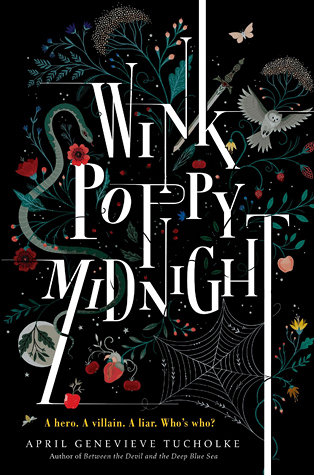 Plus, you can purchase a paperback copy of WINK POPPY MIDNIGHT.